I am running down a hill. I am running down a hill in Scotland. I am running down a hill while holding the hand of my shrieking two-year-old daughter. I am running down a hill while wincing from a dull, groaning pain in an ankle. I am running down a hill in jeans and a jumper. I am running down a hill, nonetheless. 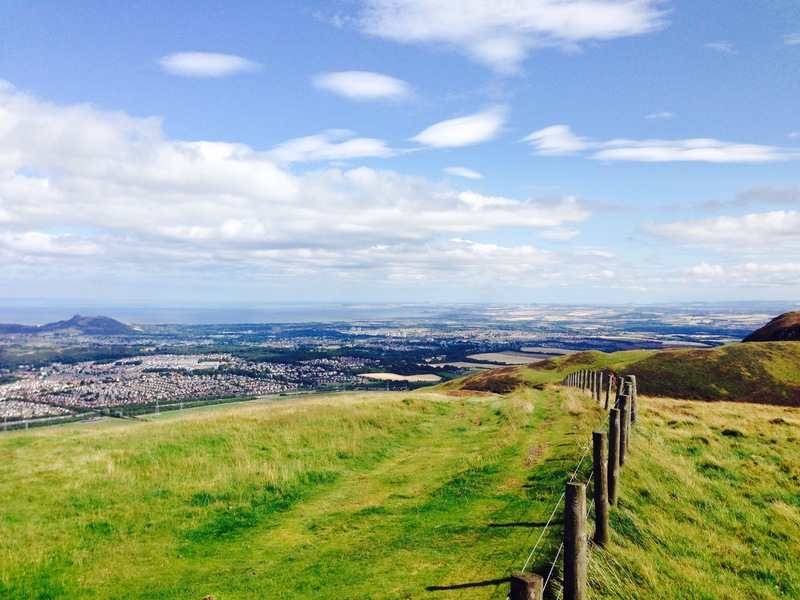 From high on the Pentland Hills, Edinburgh is at my feet. I live here. I live in Scotland. 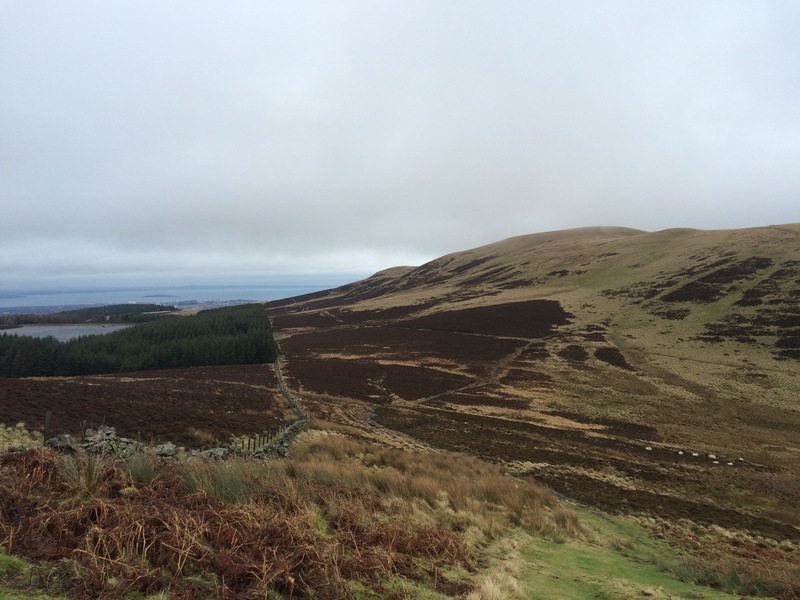 The Pentlands today are a green and brown cluster of hills stretching 20 miles from Biggar to Edinburgh; some 430 million years ago they were the sludge of an ocean floor that separated continents. As the land masses shuffled nearer, the murky depths were propelled upwards, eventually piercing sea level and moving to the sky. Aeons passed. 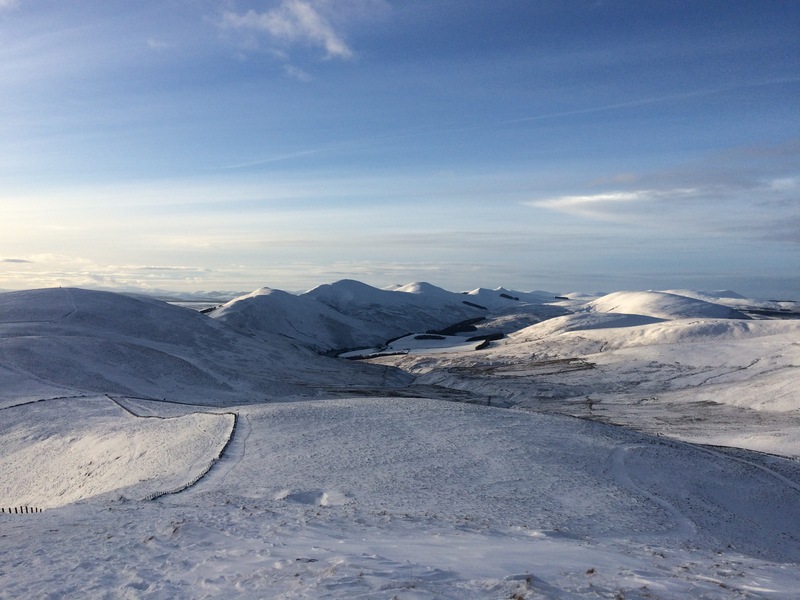 The Pentlands – long before they were identified as a human possession – were showered with volcanic debris and hewn by ice. It is an existence of unfathomable proportions. 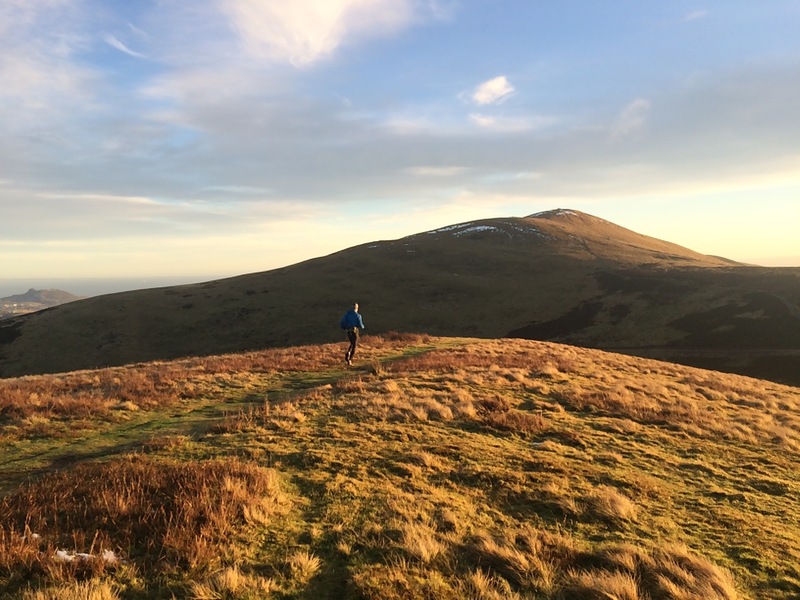 The Pentland Hills Regional Park was established in 1984 to manage and protect the area. If further evidence of the destructive power of the human was required, the requirement for an organisation to protect something that has got along quite nicely without any help for the previous 430 million years is it. From Edinburgh, the three northerly hills of the Pentlands dominate the skyline, concealing a wilder interior. Above an artificial ski slope at the aptly-named Hillend, the trio of Caerketton, Allermuir and Capelaw rise from east to west, taking the form of an undulating ridge when viewed from central Edinburgh. And while the skiers are trapped on their white ramps, the runner knows no bounds. I look to Caerketton, Allermuir and Capelaw every day. They are a fixed part of my existence. Whether streaked in sunshine or silhouetted against a night sky, they remain constant, as they have done for millions of years. Sometimes they are sheathed in fog. That does not matter; I still see them. 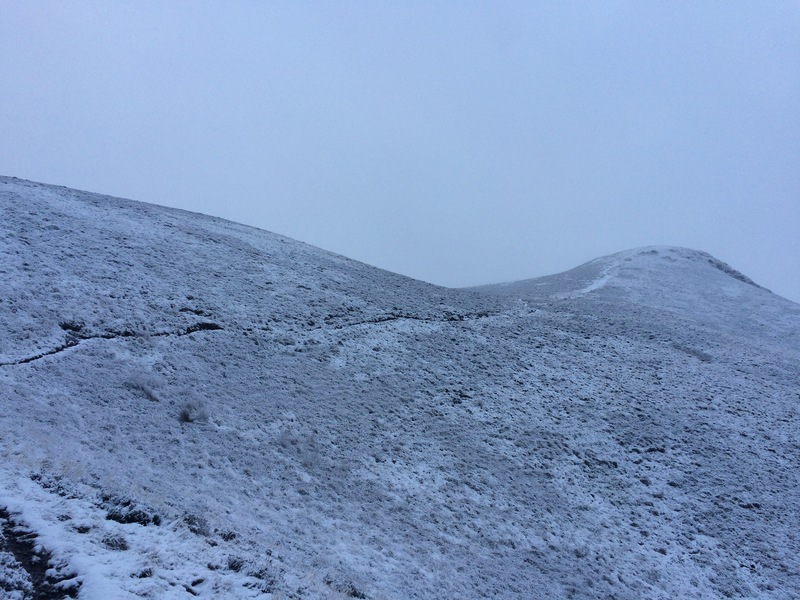 On my twelfth day in Edinburgh, I could stand it no longer: I went for a run in the Pentlands. Injured ankle, be damned. Where the Pentlands succumb to Edinburgh’s southerly margins and within earshot of the low growl of the Edinburgh bypass is the dead-end village of Swanston. I parked, re-tied my laces and started my watch. From this departure point, a direct route to the summit of Allermuir climbs some 300 vertical metres in a little over a mile. Barring a momentary downhill respite, the path rises continually at an average gradient of 14 per cent. If it was a road, it would come with a warning sign. I would run for as long as I could, I reasoned. Up I went: into woods, past Swanston’s thatched cottages, by a golf course, through a gate and along a stony track before reaching open hillside. I looked at my watch: six minutes. I looked ahead: the ground reared violently upwards on a wedge of grass. I yielded to Allermuir: I began walking. I was suffering. The relief and release of being able to move in the hills was quickly replaced by the realisation of the pain this was causing. The entire right side of my body – back, hip and knee – had taken sympathy with my malfunctioning right ankle and was competing for attention. My ankle seemed connected by fraying strands of string, with one clumsy manoeuvre likely to detach my foot from the rest of my leg. Back, hip and ankle aside, I had forgotten how hard this was. I was heaving for breath. It reminded me of swimming in a cold, choppy sea. I could breath, but the quality of the breath was insufficient; as insufficiency mounted on insufficiency, a desperate fatigue emerged. I slogged uphill, running occasionally when the gradient reduced, but ostensibly walking. It was dogged walking: hands-on-my-knees walking and not-stopping-to-admire-the-view walking. It was walking, nonetheless. I was the epitome of irony: the walking hill runner. There was a final ghastly climb up a wall of long grass etched with boot marks before I could go no higher on Allermuir. It had taken 18 minutes to travel a mile. 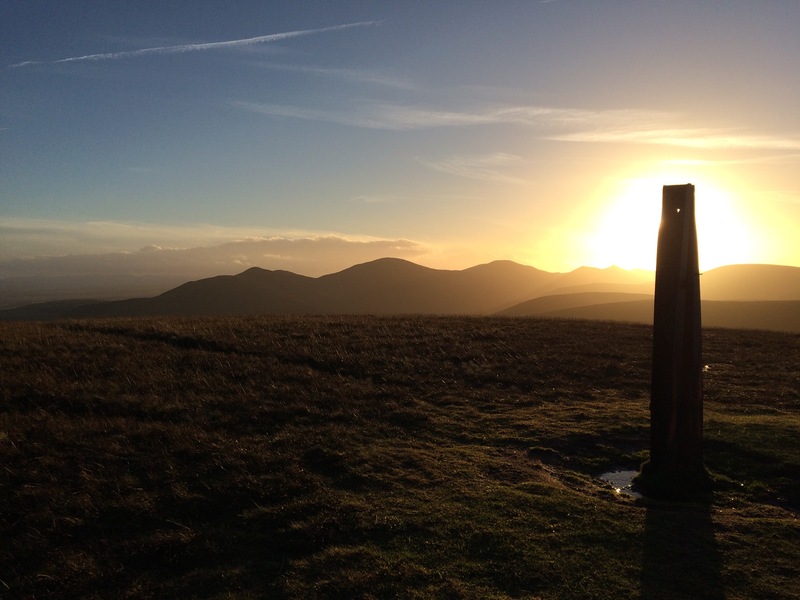 I embraced the triangulation pillar perched on the summit and – rather than the earlier fleeting glances left and right that were quickly halted by the need to divert eyes to the ground – I concentrated on the land around me for the first time. There was something else I had forgotten: the extraordinary nature of this wild pursuit. The weather was benign. Clouds were low and restless, the wind brisk. I would stand here countless times again: at sunrise and sunset, in mist and rain, in brilliant sunlight and in even duller greyness, but this – the first time – could not be outdone. With solitude came sharpness. It was the initial pangs of love, a laugh-out-loud disbelief, an incredulity that I had been all the way down there not very long ago and now I was all the way up here. I swung about. Allermuir stood at the centre of the universe: a vision of hill, moor, sea, forth and city. The names of the places are incidental. I felt like Robert Louis Stevenson, the Edinburgh-born writer whose family holiday retreat still stands in Swanston, had once done. Writing in Samoa, he conjured up a vision of his spiritual home: ‘The tropics vanish: and meseems that I – from Halkerside, from topmost Allermuir, or steep Caerketton – dreaming – gaze again.’ As I ran across the ridge to Caerketton, the setting sun was ablaze, silhouetting mountains in the faraway west in a red halo. A fantastic tale. And great pictures!